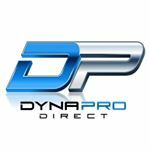 All DYNAPRO Products are engineered for heavy abuse in a commercial gym setting. Our Products are built to withstand thousands of reps per day without breaking down. We want you to train like a pro at the gym, at home, and anywhere in between. We are founded on results and will go to any length to help you get from where you are today, to where you will be tomorrow.